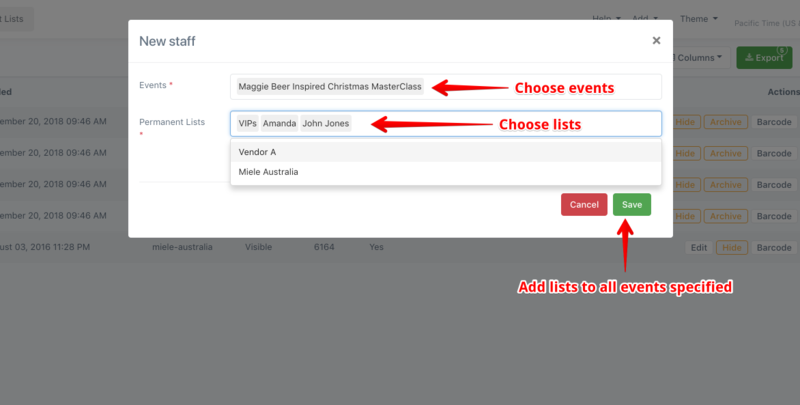 Permanent lists allow you to track tickets and guest lists under a common name, across many events. For example, a night club with many promoters would use a permanent list for each promoter, or a corporate event may use permanent lists to track guests by which Company they belong to. Other words to describe permanent lists: source, promoter, staff member, vendor, referral, category, sponsor, etc. 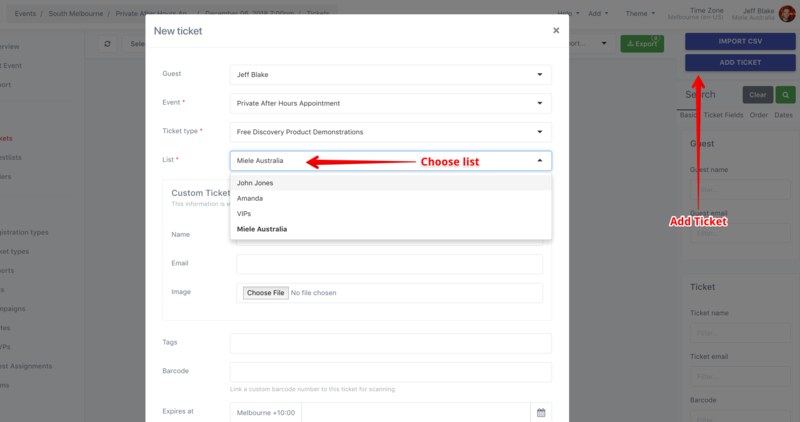 Navigate to Permanent lists and click Add List. From the popup, fill in the name for the list. 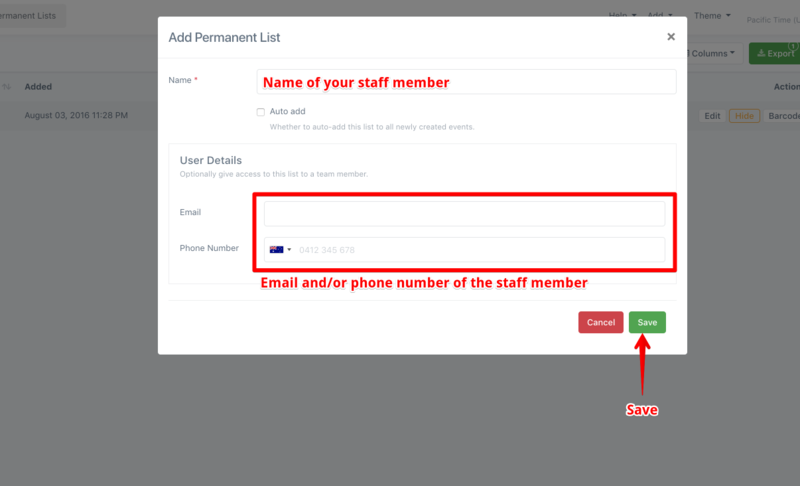 Optional: If you want to give login rights to this permanent list, and/or this list correlates to a person, fill in the email and/or phone number as well. Go to your event in Events > Upcoming. Click on Lists. From here you can see all the lists and permanent lists added to this event. You may also add more on the right. "Add Lists" will add a one-off list, not a permanent list. Tickets and guest lists can be tracked to permanent lists in a variety of ways. For example, when importing guests, simply add a column called "List" to the import. 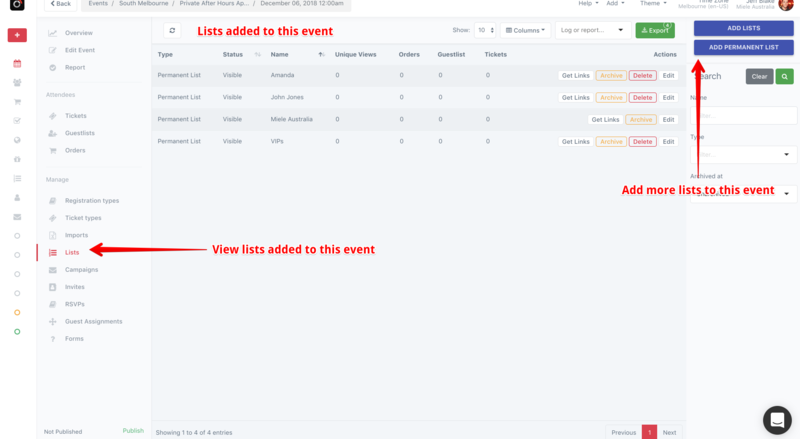 It is important to note here that if the List name does not correlate to a permanent list already setup in the system, then a one-off list will be created for that event. 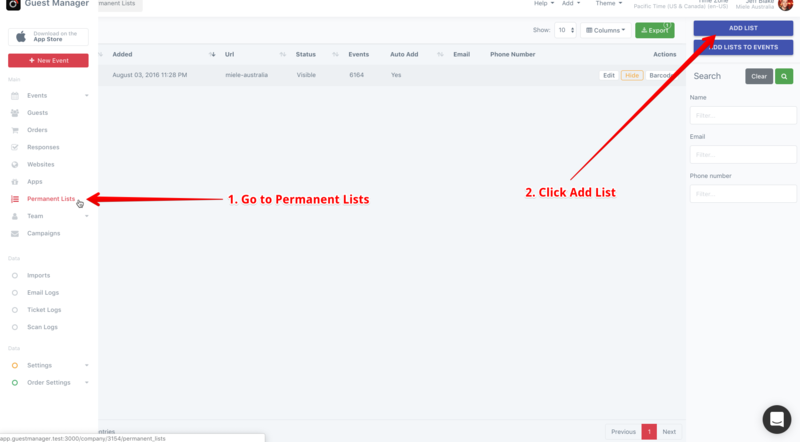 So if you want the lists to be permanent, set them up in advance of your import, and make sure the name in the import matches the permanent list name exactly.